Bananas are always a food mentioned when you want a good source of carbohydrates and electrolytes like potassium, making them a go-to food for many athletes. Bananas are indeed great for those people who regularly exercise because they are easy to digest and are an excellent source of easily accessible carbohydrates which can help maintain energy levels throughout the routine. 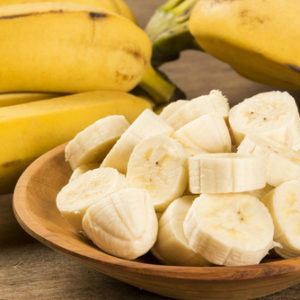 Bananas also help when it comes to post workout recovery as well because of all of those electrolytes which help replenish those lost through sweat during exercise. These electrolytes help us to maintain proper water balance in our cells, and getting enough of them is get an important as getting enough water. It seems like eating bananas regularly would be a no brainer for most people at this point given all of the benefits of the banana and the fact that most are only around 120 calories or so. The problem with bananas however is that it is high in carbohydrates which turn in to sugar as it ripens, but is very deficient in protein or fats. This means that if you eat a banana on its own, it can quickly spike your blood sugar level. If you are pre diabetic or have diabetes, you will want to pair a banana with a good source of protein and fat to reduce those effects. This is why many people choose to eat bananas with peanut butter for example. What Are the Health Benefits to Eating Bananas? Bananas are great for pre-workout meals, eat one an hour or so beforehand to give your body a quick boost in the form of easily digestible carbohydrates. 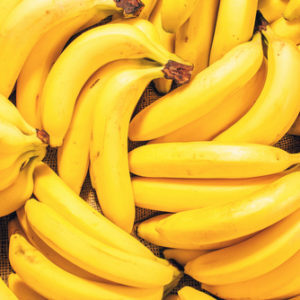 Bananas also have sugars which can be used by the muscles immediately after working out which can start the repairing and rebuilding process immediately. Bananas also help to fill your glycogen stores after working out, which helps to maintain your energy levels. Most people know that high levels of sodium in the diet can increase blood pressure and is bad for their health. Eating foods high in potassium, like bananas can help to negate those effects. Potassium manages the flow of blood including hydration levels or how thin or thick the blood is also. This helps to reduce strain on the heart as well. Another benefit to potassium is that it reduces the chance of muscle cramping or twitching during exercise. Muscle cramping and twitching are common causes of injury so making sure you are getting the proper amount of electrolytes like potassium isextremely important. People are always looking for something to boost their energy levels in the afternoon when their energy levels start to crash. Energy drinks, sport drinks, or something with caffeine is what most people go for to help them get through the rest of their day. Bananas aren’t going to have the same effect that a cup of coffee or soda would, but eating one can help you regain energy and will reduce the chance of you crashing afterwards like you would from a caffeinated drink or one loaded with sugar. The only negative when it comes to bananas is the compared to other fruits, it has relatively low fiber content which can spike blood sugar levels. If you are diabetic you should stick to other fruits like berries which also provide plenty of health benefits through antioxidants, but also keep blood sugar levels steady due to their higher fiber content. Bananas can be deceptive because even though they don’t taste sweet but their sugar to fiber ratios are higher than that or sweeter tasting foods like apples. If you are diabetic, you don’t need to avoid bananas altogether, but you should pair them with other foods. Blending them with yogurt and berries makes for a well balanced, healthy meal that shouldn’t spike your blood sugar levels too much either.